Hoopla is a digital media service that enables patrons to borrow a wide selection of movies, television shows, educational/instructional videos, documentaries, full music albums, and audiobooks via a browser, smartphone or tablet (via iOS devices and select Android devices). 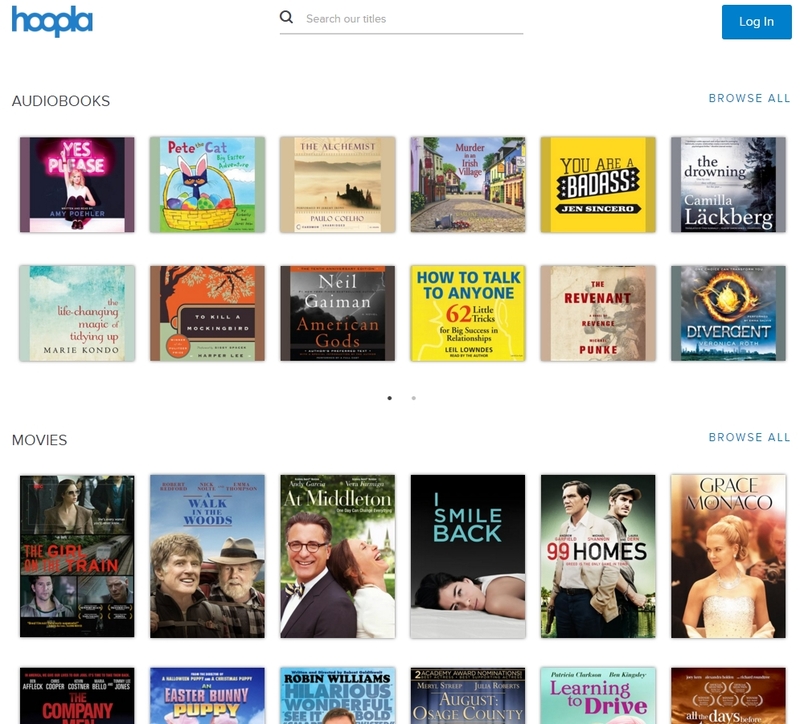 hoopla was born in 2011 and first released in January 2013 to meet the needs of libraries and their patrons moving towards the use of digital technology. Log in to hoopla digital. Free streaming service for White Plains Public Library cardholders. Instantly borrow free digital movies, music, and more, 24/7. One only needs a Library card, a web browser, smartphone or tablet to get started. Closed captioning of video content is supported where available and/or required. No ads or commercials while viewing or listening to content. You can digitally borrow 5 items per month. The number of items you can borrow will be reset to 5 at the start of each month. Most movie and TV content is available for 72 hours (3 days) after borrowing (a very small number of movie titles are available for 48 hours). Music albums are available for 7 days, and audiobooks are available for 21 days. You must have a valid White Plains Public Library card and be in good standing with the Library. You will need an e-mail address and will need to create a password. You can access hoopla for Kids by going into your hoopla account and turning it on. You turn that Mode off to return to the full hoopla holdings. Web Browsers– hoopla supports Firefox, Google Chrome, Internet Explorer, and Safari(Mac) Some other browsers may work, but those listed have been confirmed to work. Please ensure you have the most up to date versions of these browsers. Android The hoopla mobile app is available for Android smartphones and tablets. The hoopla digital app is compatible with select Android devices, including most devices that support Android OS 4.0 (Ice Cream Sandwich) and above. Kindle The hoopla digital app currently supports the 7″ and 8.9″ Kindle Fire HDX tablets, along with all of the 2015 model Kindle Fire HD. You can download the app through the Amazon Appstore on your Kindle Fire HDX and 2015 HD tablet. Chromecast hoopla now works with Chromecast devices! Please stay tuned for future enhancements for Roku, Windows app store, game consoles and SmartTV’s. Google Chrome is one of the easiest browsers to use hoopla (on PC). Google Chrome doesn’t require any plug-ins to access the content. Firefox To use hoopla in Firefox, Silverlight must be installed if you’re using the Firefox web browser. Internet Explorer or Edge You must install Widevine. Widevine is a plug-in that hoopla uses via your web browser to play our video content. Widevine is a free add-on for your browser that is owned by Google. If you do not already have this installed, when you attempt to play a video title in your web browser you will see a notification that will direct you to the Widevine website. From there, you simply need to click on Install Now and follow the on screen prompts. If you are preparing ahead of time, you can go directly to that website yourself at this link. iOS: 1. Double tap your device’s home button and find the hoopla app card. 2. Swipe the app upwards and off the screen to close the app. 3. Tap on app icon again to re-open. Android: 1. Open the settings menu of your device and tap on applications (sometimes called applications manager). 2. Make sure “downloaded” is the selected menu at the top or bottom of the screen. 3. Find and tap the hoopla app. Then, tap the “force quit” button. 4. Re-open the app. If none of the about works: Please contact feedback@hoopladigital.com. This will take you to the hoopla support team that will work with you to troubleshoot your problem. There is a 24 hour response time. Most times, your card has expired, or your library account may be in a negative status. This can possibly be cleared up with a visit to the library for further assistance. Sometimes, the mobile apps do not work after you have changed your password on another device. Try logging out of your mobile device by going to settings and clicking sign out. Then log back in with your new username and/or password. The hoopla digital mobile app can be found in the App Store on your iOS device, the Google Play store on your Android device, and the Amazon Appstore on your Kindle Fire HDX. Search for “hoopla digital” to find and download the app. To remove this message, simply head to the settings menu inside the hoopla app. Tap on “Log Out” and then log back in. The error message will be removed, and you can use hoopla normally again. Yes, to browse hoopla content and to stream content over Wi-Fi, 3G and/or 4G you must be connected to the internet. hoopla also offers temporary downloads. To download successfully you must be connected to a strong Wi-Fi network. Once the download is complete you no longer need a Wi-Fi connection. You can go anywhere and not use your data plan! All titles are available for streaming and temporary downloads to a mobile device. Borrowed titles are only available for download on mobile devices such as iOS (iPad/iPhone/iPod Touch) and supported Android phones or tablets. 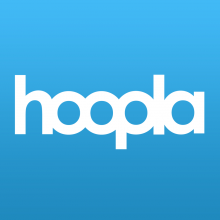 On hoopla mobile apps, you can complete a temporary download to play content when an internet connection is unavailable. On iOS devices, simply tap the “Download to your device.” link and wait for the “download complete” message before entering your device into Airplane Mode. On our Android app, the process is the same. Categories: Audiobooks, Comics, eBooks, Homepage eBooks, Audiobooks and Movies, Movies, Music, Popular, Resources, and Teen.